It ain’t over, until it’s over. Lawrence Peter “Yogi” Berra, Performer Artisan, (May 12, 1925 – September 22, 2015) was an American professional baseball catcher, manager, and coach who played 19 seasons in Major League Baseball (MLB) (1946–63, 1965), all but the last for the New York Yankees. 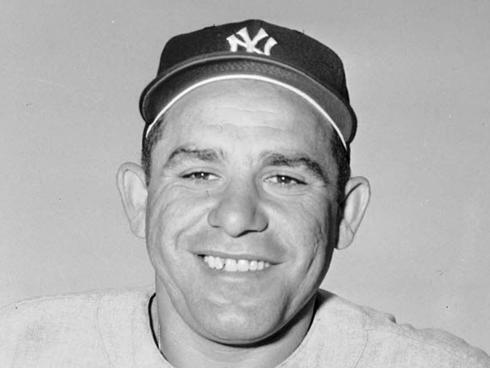 An 18-time All-Star and 10-time World Series champion as a player, Berra had a career batting average of .285, while compiling 358 home runs and 1,430 runs batted in. He is one of only five players to win the American League Most Valuable Player Award three times. Widely regarded as one of the greatest catchers in baseball history, he was elected to the Baseball Hall of Fame in 1972. Berra was also well known for his pithy comments, malapropisms, and witticisms, known as Yogi-isms. Yogi-isms very often take the form of either an apparently obvious tautology or a paradoxical contradiction. Other Performer Artisans include: Robin Williams, Mickey Rooney, Sid Caesar, Steve Martin, Brittney Griner, Janis Joplin, Gene Krupa, Louis Armstrong, Alex Karras, Kim Jong Un, Phyllis Diller, Jim Cramer, Magic Johnson, Josephine Baker, Whitney Houston, Marilyn Monroe, Michael Jackson and Elvis Presley.